Of the British Channel Islands, Alderney is the third largest. Like the other British Channel Islands, while they are considered areas to fall under Britain, they govern themselves, and they are not a part of the UK or EU. Along these lines, they have developed a huge economy around offshore financing and other similar industries, so it’s no surprise that they have built up their economy a bit with online gambling licensing. Getting an Anderney online casino license requires that a number of guidelines be followed, and while they aren’t necessarily as strict as some jurisdictions, they are far from lenient. They are very concerned with making sure that their licenses are seen as legitimate, so they do not tolerate bad business practices or other rogue behavior. There are two main categories of licenses for businesses that get them from Alderney. The Category 1 is for what they call B2C business, and that stands for business-to-customer. This is for businesses that interact with customers whether it’s dealing with payment processing or offering actual gambling services like those of an online casino, sportsbook, online poker or bingo room. Businesses can also get a Category 2 license which is what they call B2B, or business-to-business. This is for the companies that manage behind the scenes? aspects of gambling operations like when one parent company is responsible for a number of operators. Aside from that, there are also options for temporary licenses, though they still follow under the two categories above. This could be a better choice than a long-term license for business reasons. There are also special certificates available for software providers in addition to these licenses, and this tends to be for companies that don’t actually operate in the Alderney jurisdiction but that work with companies that do. The governing body over online gambling is the Alderney Gambling Control Commission, also known as the AGCC. They are the group that determines who gets a license and who does not. Something that’s really cool about the AGCC is that they are very forward-thinking about working with the licensing boards from other parts of the world to try to standardize their requirements for licensing. For example, they work closely with the Nevada Gambling Control Board thanks to a 2011 agreement. The NGCB is over Las Vegas, one of the largest gambling cities in the world, so it’s clear that the AGCC is serious about improving themselves. 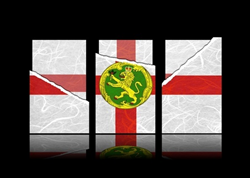 Alderney wants to attract the best gambling operations they can so that they keep a great profile and make sure that their licensing process and gambling control board keep a reputation for being legitimate and serious about their job. To this end, they offer some major incentives for great companies to work there. This includes extremely low tax rates and the ability to become exempt from income taxes completely if they perform certain non-profit duties. Because of this mentality and this approach, they attract a lot of companies wanting to become licensed. However, they have particularly high standards, and they don’t just give away licenses to anyone. This is why you can trust sites that have a license to operate in Alderney.